The El Descanso Cemetery has served as the final resting place for many people in our community since the late 1800's. The land where the cemetery is situated was donated to the Ranchos Presbyterian Church in 1931 by Mr. Amos Rivera. Another piece of land to the east was later purchased. A family shelter was built over seventy years ago and restored in 2013 to provide shelter in inclement weather for family members. There is an annual cleanup (shown in the photo below) that keeps the cemetery in good condition. This year the first clean-up day was on Saturday, April 14th. 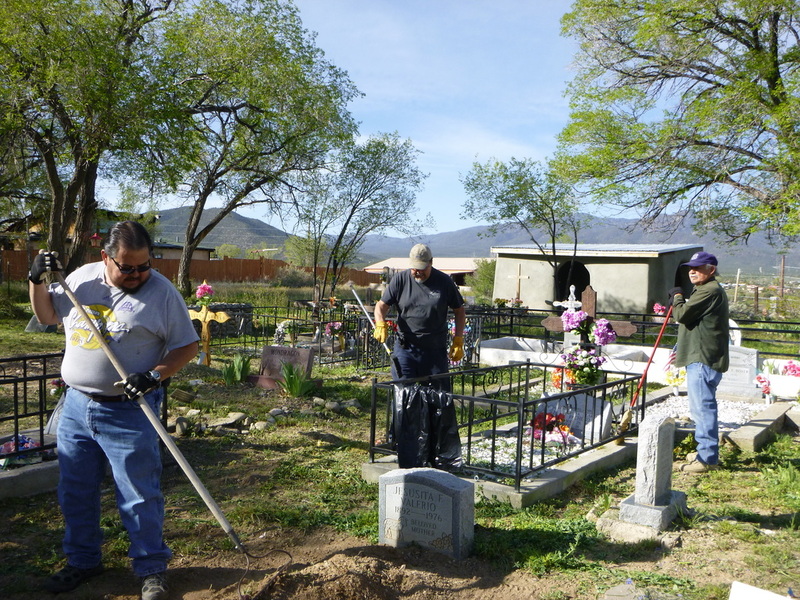 Thanks to those that attended the first work day for our cemetery clean-up. The second work day was on Saturday, May 19th at 8:00 A. M. Thanks to all who attended both work days. Contact Edwardo Martinez at 575-770-6724, if you have any questions. Thank you! Edwardo C. Martinez (Chairman), Frank Crews, Jr. and Michael Gomez are the committee members. Eddie Grant who served on this committee for 28 years is a valuable resource and assistant. All members and their service are appreciated. Arrangements for burials are made according to the guidelines set forth by the session. The guidelines, which include all appropriate fees, are available in the church office. The office staff and treasurer handle all money that is paid for burials. A schematic showing who is buried in specific plots is also available in the church office. 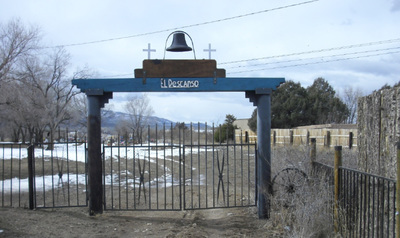 El Descanso Cemetery is located on the south side of Highway 518, 0.6 miles east of Paseo del Pueblo Sur (Hwy 68).